All Alro warehouses employ state-of-the-art equipment for handling and processing orders. 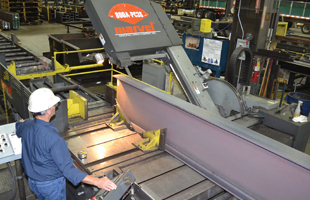 Alro offers next-day delivery on most saw cutting orders. We can cut your material to a specified length for storage or han- dling or your order can be cut within your specified tolerance. State of the art sawing systems deliver accurate miter saw cut parts. 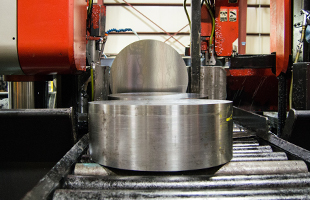 We offer bar sawing and can cut bar stock up to 28” diameter round. 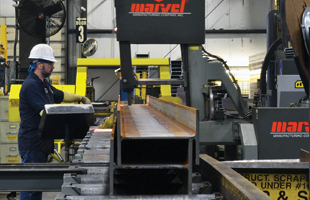 Maximizing bundle cutting production flow assures fast and accurate processing.